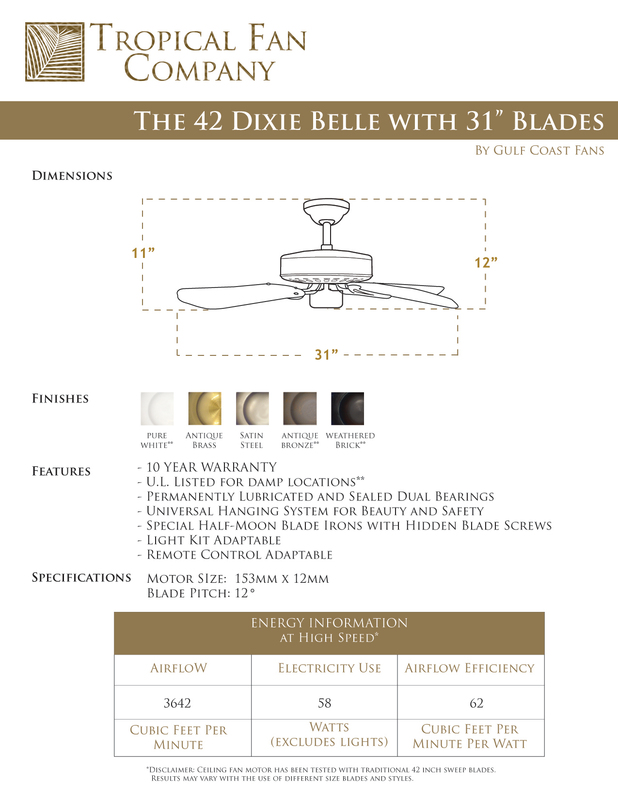 The 31 Inch Dixie Belle Traditional Ceiling Fan w/plywood blades. 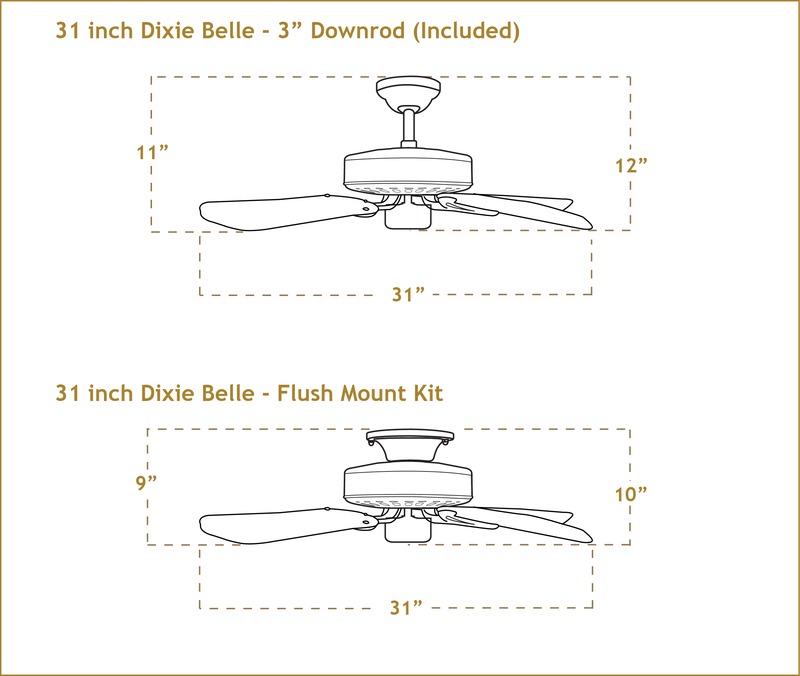 The 31 inch Dixie Belle is offered in Antique Bronze, Antique Brass, Pure White, Satin Steel, and Oil Rubbed Bronze. 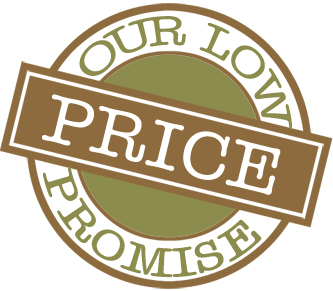 The traditional plywood blades are reversible Pure White/Bleached Oak Gloss. Match motor colors to design your own fan.